I am a portuguese geocacher who once loved geocoins and finding hidden treasures. Unfortunately, life changes and time has to be used in other activities so Geocaching has stopped some time ago and it is time to start selling some of the geocoins in my collection. 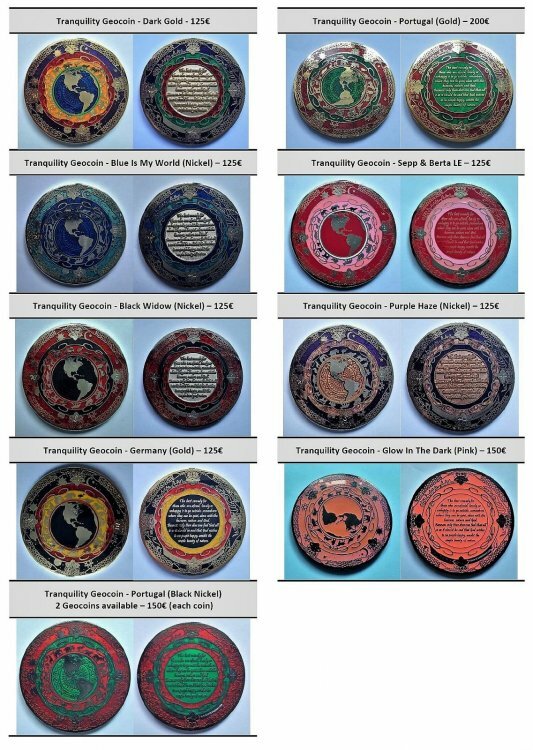 I am now selling the Tranquility Geocoins I have, as listed below. These coins are new and unactivated. I am opened to negotiate some of the prices, especially for purchases of more than one geocoin. Thank you and happy treasure hunting!